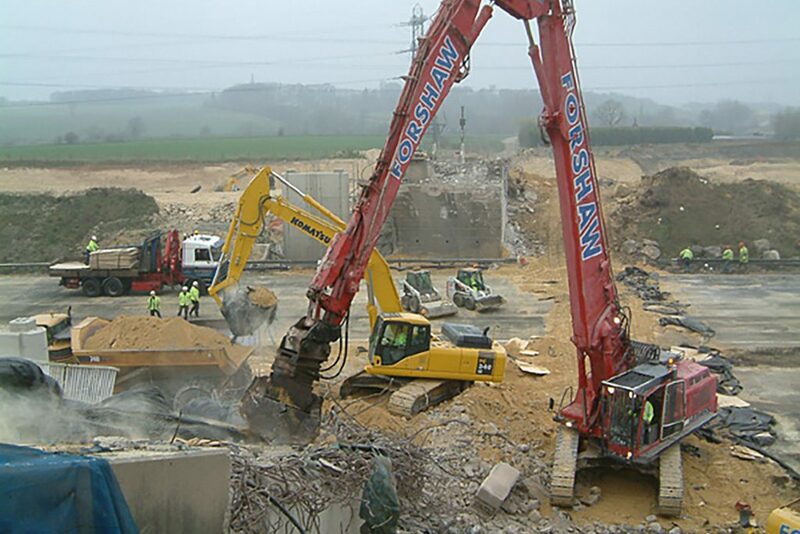 Scope: The contract involved the demolition of 9 redundant bridges on the former A1 in Yorkshire. 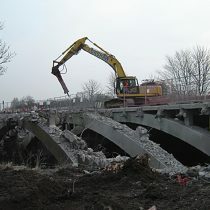 The demolition nine redundant bridges on the former A1 in Yorkshire posed many intriguing problems for the WFL design team due to there being many different types of bridge involved – road over motorway, footbridge over road, road over river and road over railway – requiring various demolition techniques. 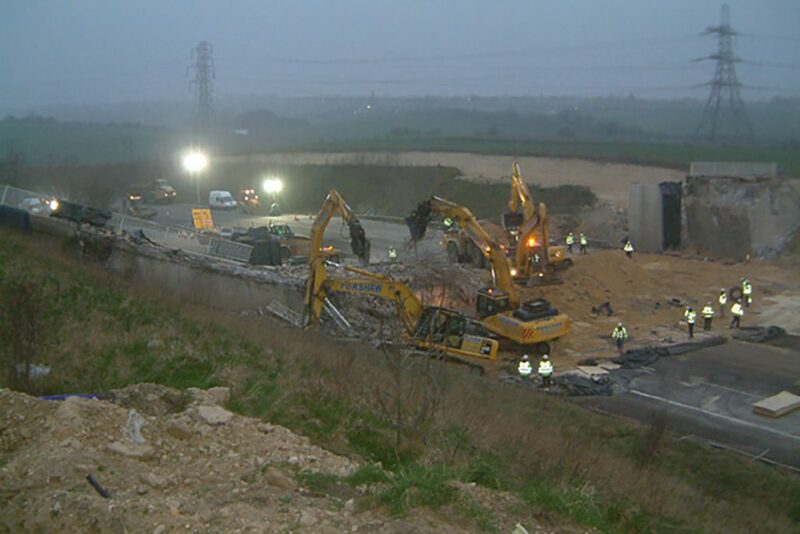 These techniques ranged from traditional demolition by mechanical excavator to the explosive demolition of an accommodation bridge over the M62 during a 15-hour overnight motorway possession. 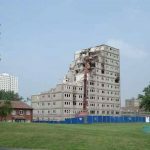 All the bridges required thorough planning, including design data, technical appraisal forms and methods of demolition, which needed to be certificated by a Category III checker and the client prior to being passed off. 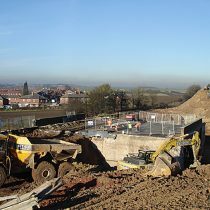 The Walshford Bridge, spanning the river Nidd, required close liaison with the Environment Agency. 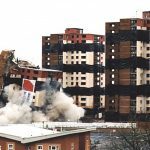 After several site meetings, we concluded that the best method for demolition was to remove as much of the road deck as possible before breaking out any remaining structure, including the beams, allowing them to drop in to the river below. 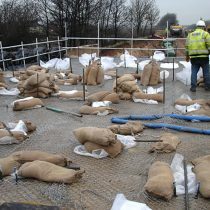 The EA installed two inflatable rubber bunds and a submerged hessian net downstream of the bridge to catch small debris and oil. Upon conclusion, the river was dredged of any demolition material. 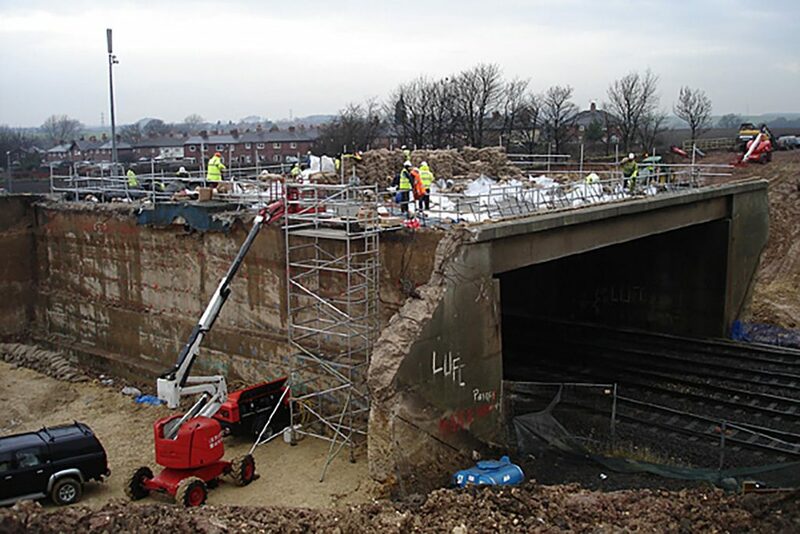 This demolition of Holmfield Lane bridge was complicated by the fact that it spanned the busy M62 motorway and could therefore only be demolished during a 15-hour overnight motorway possession. 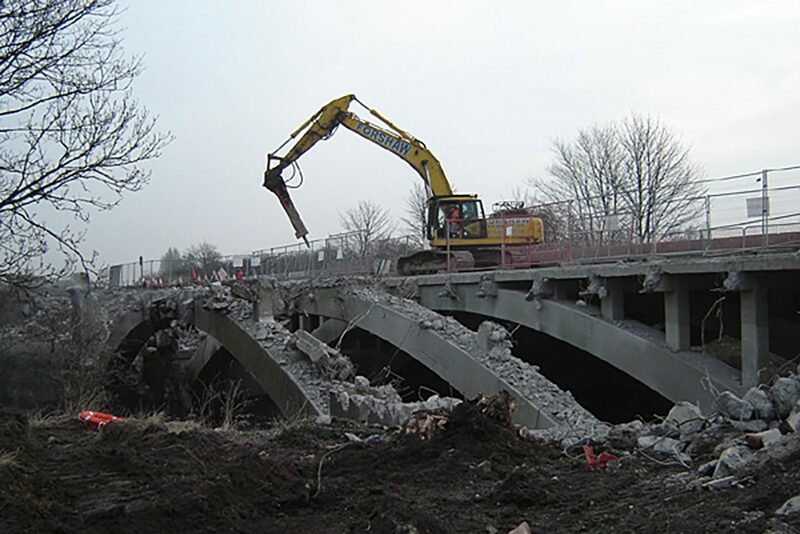 Early on in the planning process we opted for demolition using controlled explosives to give us maximum time to remove the bridge material and return the motorway to normal use. 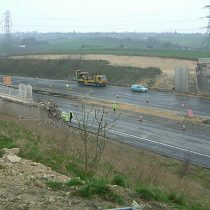 In the weeks leading up to the possession, the bridge was prepared for explosive demolition by removing the road deck and drilling the surface and bridge piers to accept the charges under a series of overnight lane closures over the live motorway. 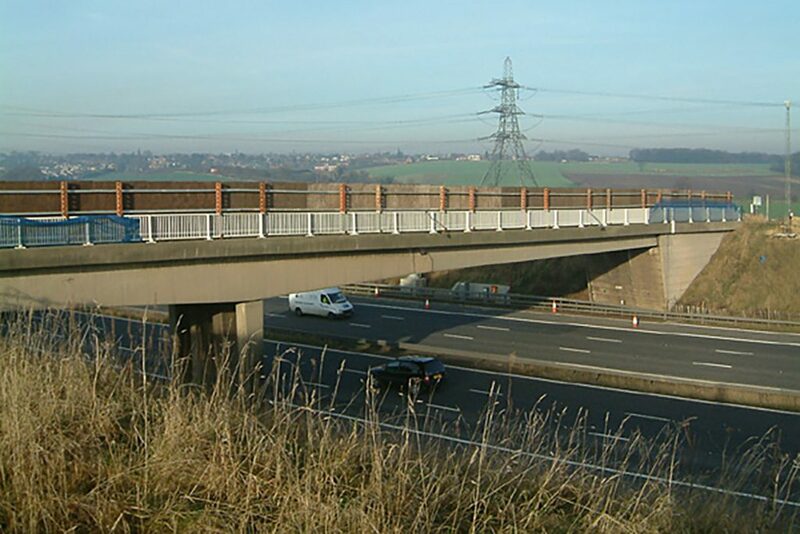 On the night of the possession, once the motorway had been closed, protective layers consisting of geotextile, plywood sheets, sand and tyres were laid down under the bridge to protect the motorway from the falling bridge material. 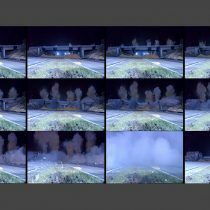 Once all the protective material was in place and the explosives were charged, the bridge was detonated. 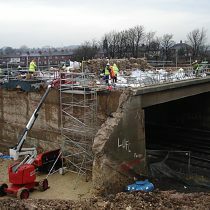 The rest of the night was spent removing the bridge material to the side of the motorway where it was processed later. 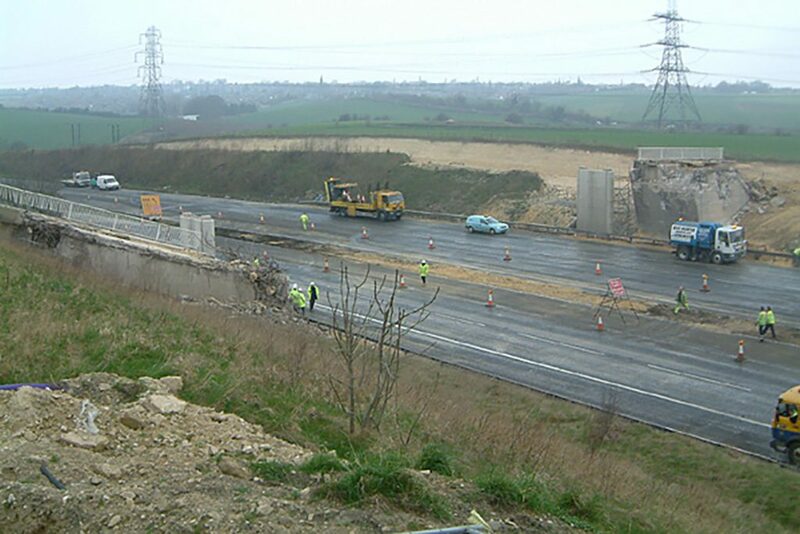 The material was cleared and the motorway was inspected and handed back on time early on the Sunday morning. 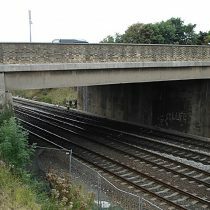 The Micklefield Railway Bridge was the most complex of all the bridges, requiring meticulous planning and an innovative solution. It presented us with our biggest challenge of 2005, if not the last 10 years! 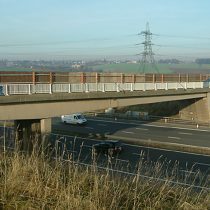 The bridge formerly carried the A1 dual carriageway over a busy mainline railway but the new A1(M), 20 metres to the east, rendered this bridge redundant. 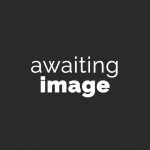 Due to the high frequency of trains along the Trans-Pennine line, the only period Network Rail would allow the railway to be closed for a reasonable length of time was over Christmas Day and Boxing Day, totalling a 53 hour possession. 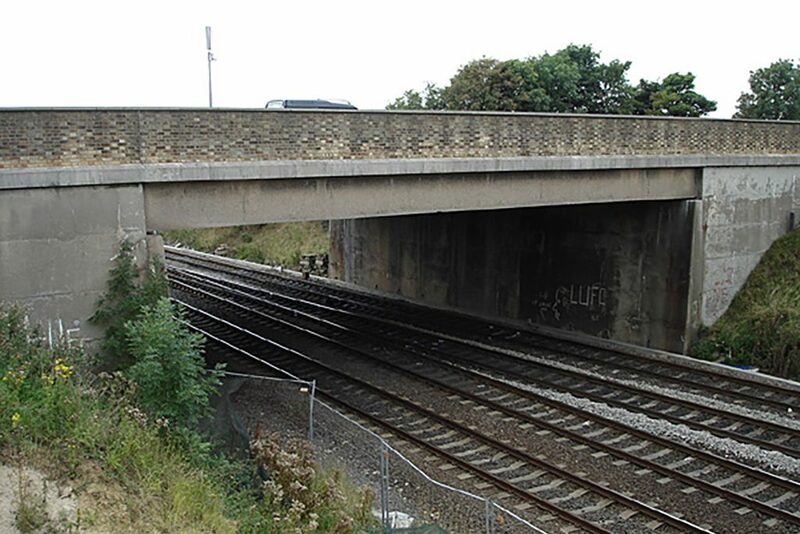 Our design team considered several methods for the demolition of Micklefield Railway Bridge, taking into account the critical timescale involved; potential damage to the track and related penalties; the particular construction detail within the bridge structure; the unpredictable nature of the weather over the Christmas period. 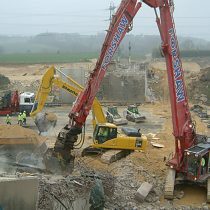 The suggested methods included mechanical demolition using excavators fitted with combination shears; cutting and lifting sections of the bridge with a crane; using controlled explosives. 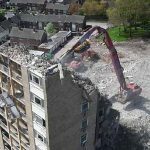 The mechanical demolition method was eliminated due to the complex nature of the post-tensioning in the concrete. 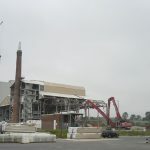 The lifting method was eliminated due to the size and weight of pieces that would have to be lifted, the awkwardness of the site and the changeable nature of the wind in winter. After careful consideration, our most favourable method was to use controlled explosives. The construction of the bridge and the complex post-tensioning within the beams prevented traditional explosive drilling. Our design team, including our explosives engineer and structural engineer, a leading expert in concrete bridge construction (and demolition! 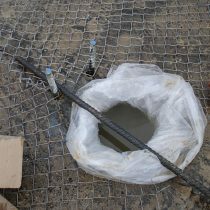 ), concluded that the best way would be to employ a little known and rarely used technique involving explosives submerged in water bags within the bridge structure. 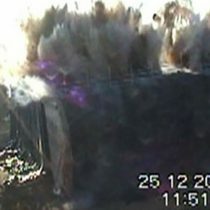 The basic idea is that the water bag fills the expanse between beams and, when the explosives are detonated inside the bag, the force is transmitted through the water equally in all directions, not only destroying the concrete within the bridge, but also turning the concrete to a gravel, helping to reduce the time taken to clear the bridge after detonation. 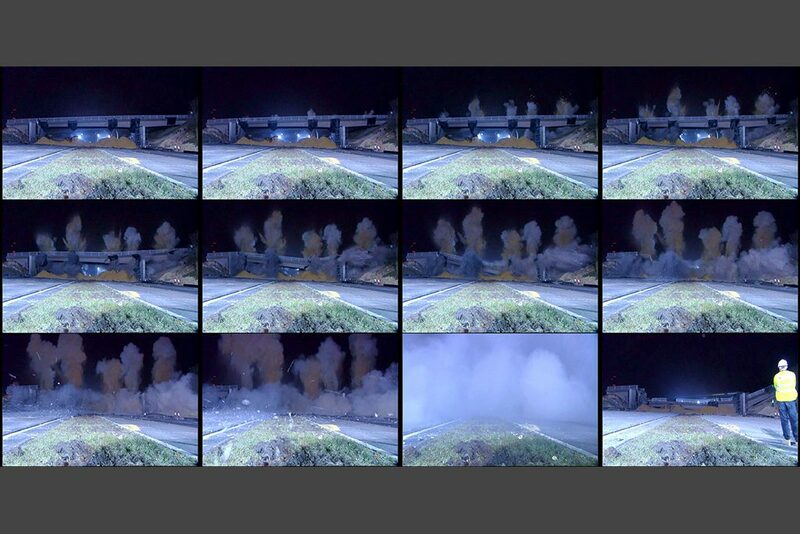 The method had not been used in anger on any bridge before that we were aware of, so we performed several test blasts on an intact section of a bridge we had demolished previously, to ascertain the ideal amount of explosives to use, the correct quantity of water and the type of water bag required. The test blasts went well and, once we were confident of our method, we presented our proposals to our client and Network Rail. 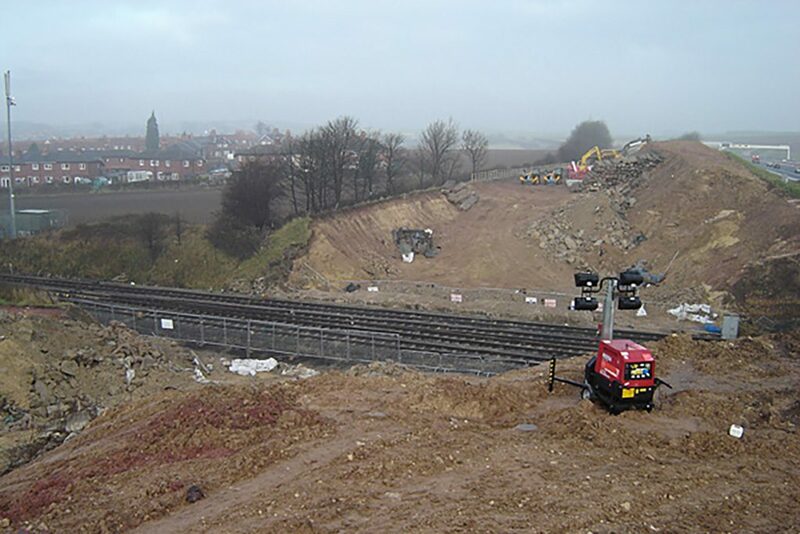 The bridge spanned a section of the railway containing points which merged four tracks in to two directly beneath the bridge, so there was additional switchgear to protect. 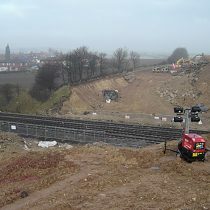 Network Rail would not allow any sandbags to be placed directly on either the tracks or on the sleepers. 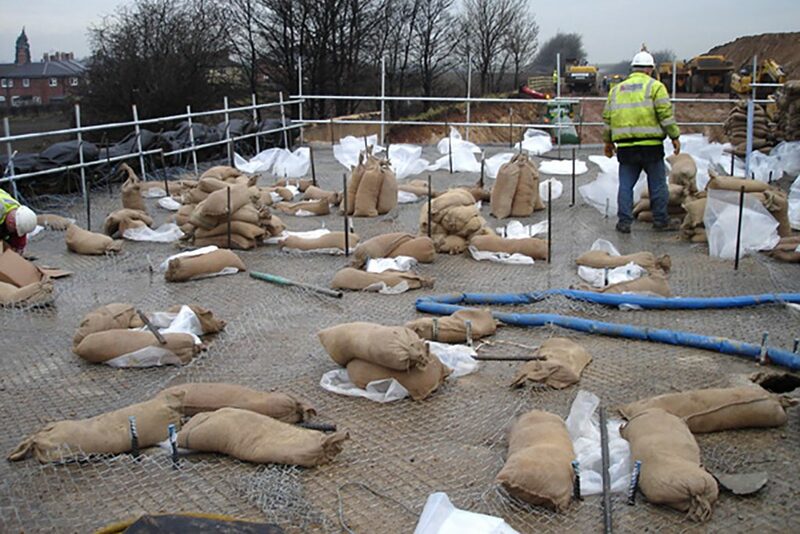 A dilapidated trough, containing fibre optic cables, ran adjacent to one abutment directly under the bridge and could not bear the weight of any protection materials. 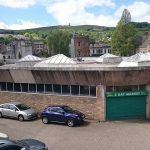 Several ideas were suggested by the design team, before finally settling on using a combination of geotextile, sandbags, timber matting, plywood sheeting and tyres. We arranged several night-time “between-trains” possessions to take detailed measurements of the track layout, which allowed us to design our track protection system. 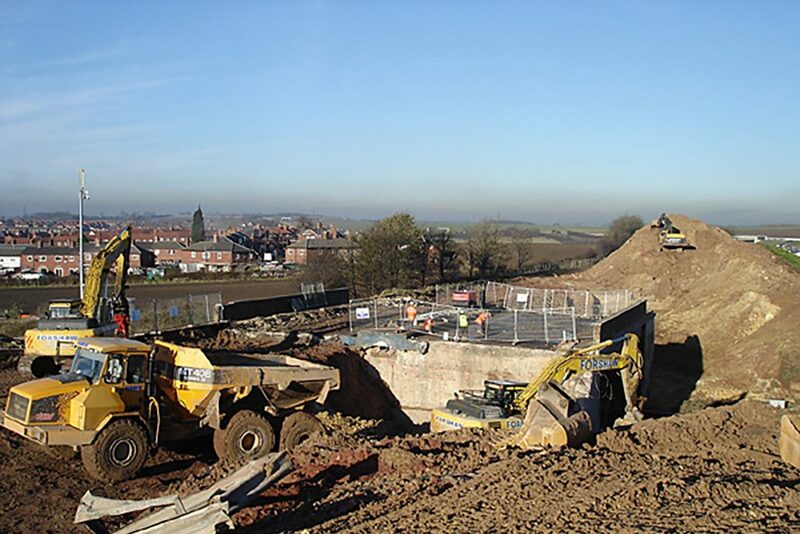 In the weeks leading up to Christmas, the bridge was prepared for demolition, by removing the road deck from the bridge and excavating 20,000 tonnes of fill material from behind the abutments of the bridge. Holes were drilled on the deck, large enough to accept the water bags. 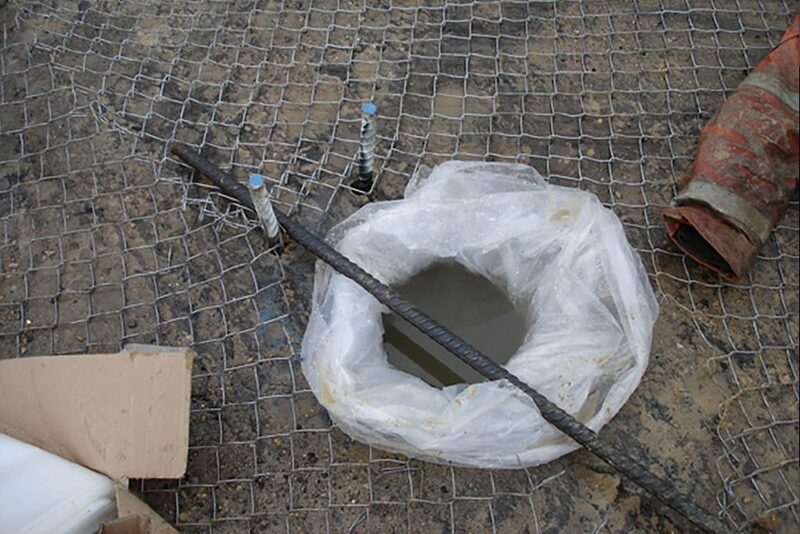 The bags were placed in these holes, filled with water and charged with explosives. 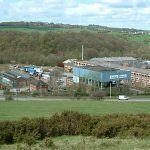 The abutments were also drilled and primed with explosives. 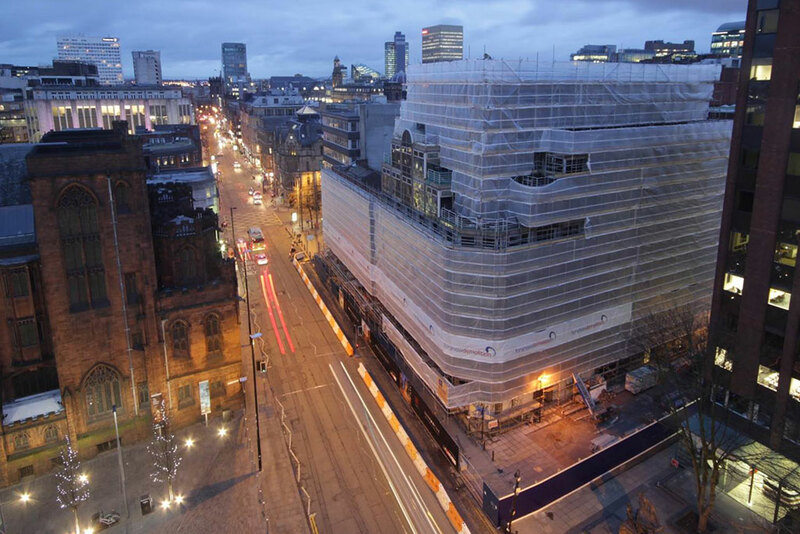 Protective matting was then draped over the bridge to contain any materials thrown up in the blast. 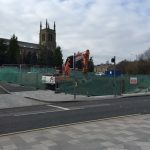 Regular meetings were held in the weeks prior to Christmas with the local residents, Micklefield Parish Council and the local police, to discuss arrangements for the blowdown. Letter drops and door-to-door liaison was also carried out with the residents in the neighbouring properties to keep them abreast of the latest developments. Late on Christmas Eve, our protection team arrived on site and as soon as the railway was handed over to us – 02:00 on Christmas Day morning – commenced placing the protection down on the track. At 11:30 the bridge was ready for the blowdown. 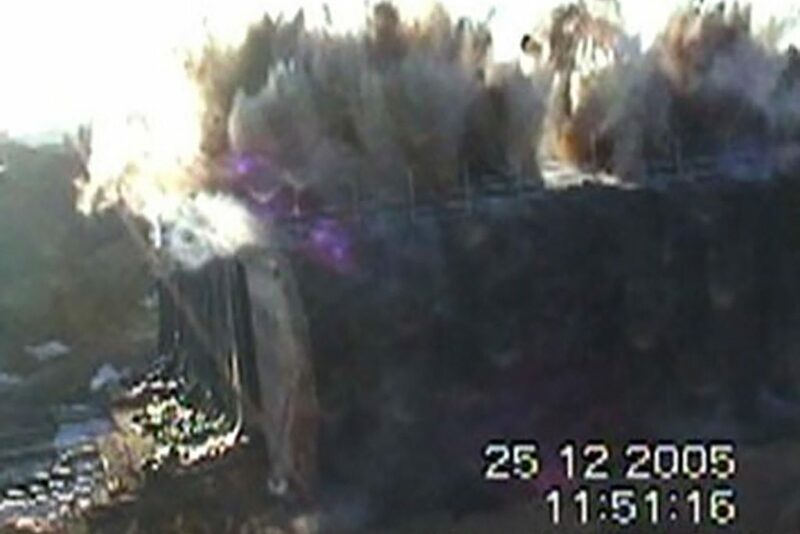 We arranged a rolling road block with the local police on the neighbouring A1(M), giving us a three minute detonation window, and the bridge was detonated just before noon. Close inspection of the bridge after the explosion, revealed that the water bag method had worked perfectly, turning much of the bridge deck into gravel. 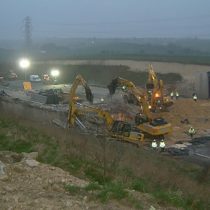 Our team of excavators proceeded to work away at the broken bridge structure and, by 01:00 on Boxing Day morning, the track was clear. At first light, the railway inspectors surveyed the track and checked all signalling & points equipment. 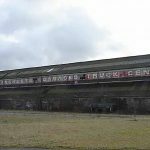 They were extremely impressed with the condition of all track & equipment and passed the railway off as fit for trains to run, a full 24 hours ahead of schedule, and the operation was deemed a success.